With body piercing becoming a much-loved affair across the world these days, the good old nose pins are being replaced with trendy nose ornaments to glorify the year-old practice of nose piercing. From large, traditional rings to tiny, chic studs – you can always get a nose pin to suit your very own taste and desire. 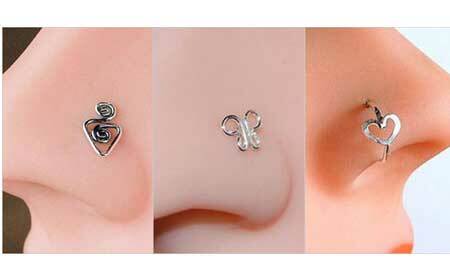 So, if you are planning to get your nose pierced in near future or thinking of changing your current nose jewel, we are here to help you. Know how to find the right nose pin for yourself along with 10 brilliant ideas for nose pin designs that will give you a gorgeous makeover instantly. 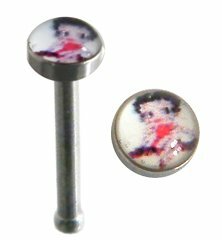 How To Find The Perfect Nose Pin? The most classic choice is a dazzling diamond stud, which also has other variations including simple stone stud, floral stud, geometric studs etc. 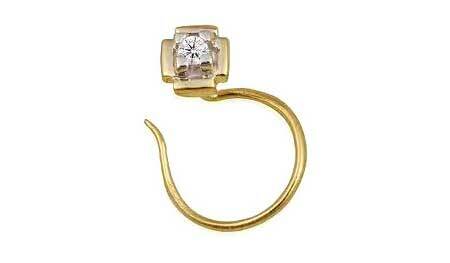 Hoops are also quite popular and you can avail them as a plain golden hoop, large studded hoop, etc. Nose pins with a bent body gives a trendy look and hence, is a favorite of young women. Screw type nose pins give a chic look in a minimalistic way. Any biocompatible metal is the safest choice for nose pins. Solid nickel-free gold, rose gold, white gold, platinum, etc. will always be the best picks as they will never cause irritation or lead to skin discoloration. However, you can also opt for sterling silver, implant-grade titanium, or surgical steel based on your skin type. At the same time, make sure that your nose pin comes with a fine polish and a smooth finish in order to ensure maximum comfort. Based on your facial feature, personal style, and budget, you can add a tiny bit of sparkle to your nose or embrace a large and wide metallic piece of ring. Small ones are perfect for the traditional looks while chunky pieces will give you edgy vibes. But whatever you choose, it should not be too tight or too loose. Make sure that the fit allows your nostrils to expand and contract naturally and comfortably. Nothing can beat the elegance of a stone-studded nose pin. And if it comes with two stones in the place of one, the beauty of the jewelry doubles! Here is such a dual-stone stud nose pin in which two exquisite tiny stones of different colors are studded in a white metallic case. If you have a sharp nose, this design will complement that perfectly. While two stones of the same hue can also give you a gorgeous look, it is the contrast in color that is making this specific design ‘one of a kind’. Who says that a screw-type nose pin is too simple to stand out from the crowd? At least, not this unique one! 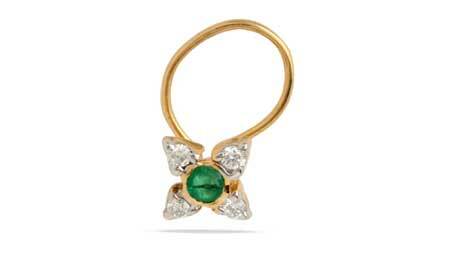 If you are ready to go creative, this nose jewel with a precisely painted top will steal your heart for sure. It will not only be a style-booster for you but also work well for your li’l daughter. 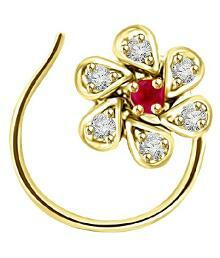 Nowadays, nose pins with floral patterns are a big hit and this one is surely one of the best examples. It features a vivid green stone set amid a striking floral pattern while four sparkling white stones are encircling it as its petals. 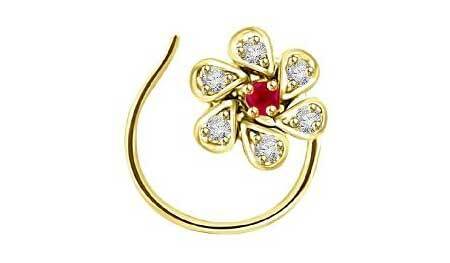 The use of the golden ring as the base of the flower is making the nose pin look even more beautiful. 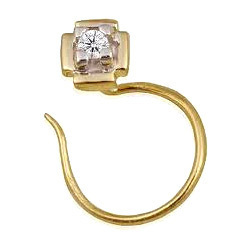 What can be classier for a nose pin than this piece, featuring modernity cased in tradition? The quadrangular casing gives a complete modern alteration to the simple one-stone stud. Go for it, if you want the tones of modernity in your nose in a sober manner. Add a touch of silver to your nose with this tiny silver palm tree as it is simplicity that always speaks louder. 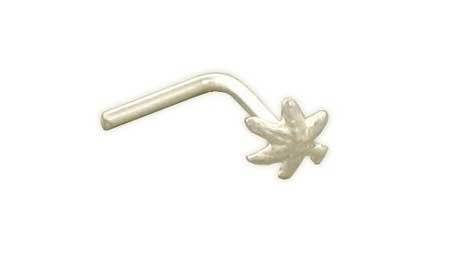 With palm leaf top, this silver-colored nose pin is, indeed, very simple and equally pretty. It will make you look chic instantly if teamed with a western outfit. Traditional yet classy in your mind? 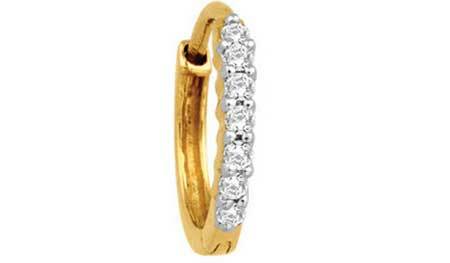 This golden hoop with all shine and glitz is the perfect choice for you. Go uber-chic with this attractive nose ring that is enough to make a style statement alone. Needless to say, its diamond facet makes it an apt choice for traditional dressing. Let your nose pin mirror your love for the stars with a completely unique design. 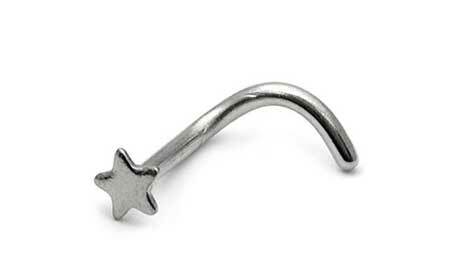 This starry nose stud boasts the beauty of simplicity and you simply cannot help but love it! Its smooth and shiny steel finish can steal the heart of any woman. 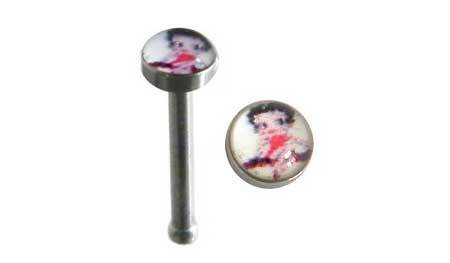 Looking for a brighter and bigger nose pin for your sharper nose? Go blingy with this stone-studded piece and people will definitely not be able to take their eyes off you! 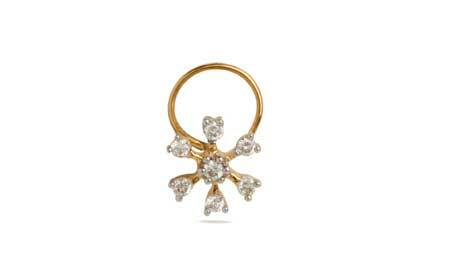 Cased in gold, this nose pin will look good on both traditional as well as modern attires. It will enhance the beauty of the pointed tip of your nose significantly. If you are bored of those stone-finish studs, here is something exclusive for you to try. These stylish metallic nose pins will bring the shades of trends to your nose in a simpler, lighter, and cheaper way. These irregular patterns are not only offbeat but also quite feminine. An incredible nose pin design needs no amendment! This red-and-white stone stud looks awesome with twisted petals and the whole concept creates a dazzling golden flower on your nose. 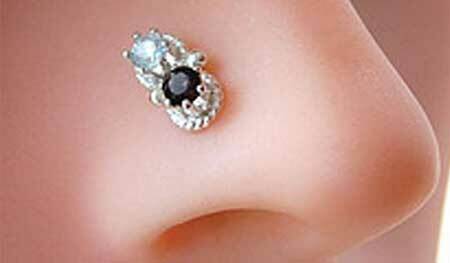 Just go for it without any second thought if you have been longing for an awesome nose stud.